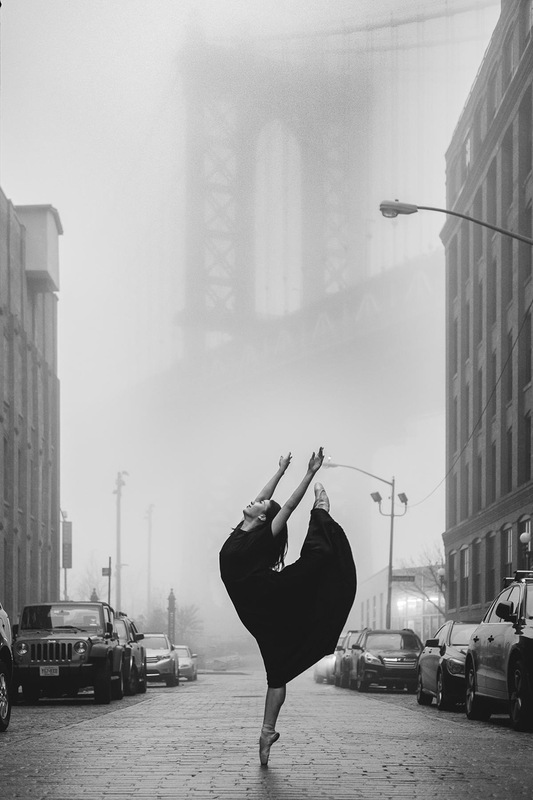 Street photographer Omar Robles finds every city has an innate rhythm. In his ballet series, Robles looks for the heartbeat between the natural choreography of the city and the movement of dancers. What drew you to ballet dancers? It is a combination of several things. In a way, working with dancers feels like working with my peers. I can talk to them in a language that they understand and vice versa, that is something I find highly rewarding. On the other side, I’m enamored with the idea of weightlessness and flight. Portraying the dancers on those specific moments brings forth that idea of defiance of time, space and gravity. How has your background of physical theater influenced your ballet photography? My background in mime greatly influences my photography, both from the envisioning of each photograph to my directing style. Dance was in fact part of my training as a mime, so when I am directing a shoot, I know exactly what I want to achieve with every pose. Having that training also helps me know what is the optimal look and moment for the poses. I push the dancers to project through an image just as they would do on stage. There’s a stark contrast between the clean lines and elegance of ballet against the urban settings. 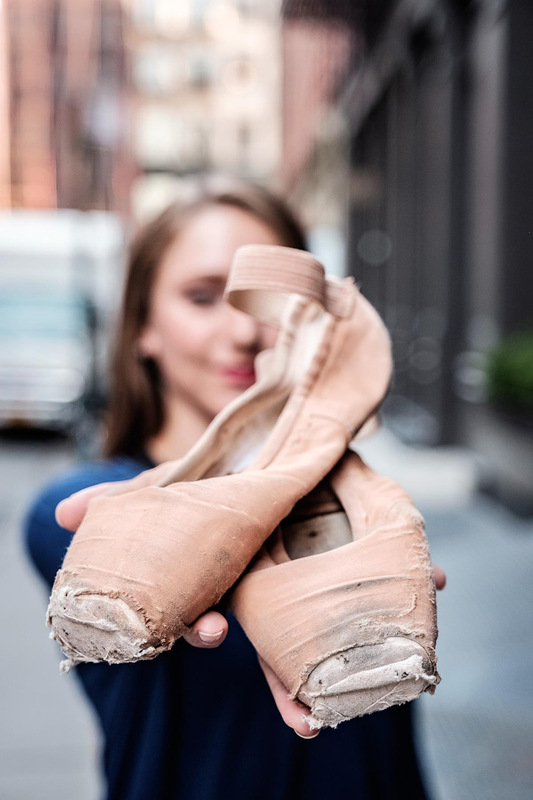 But behind the lines of ballet is strength and fortitude and the same could be said for the quiet grace of the city. How do you allow the dancers and the city to play off one another? Every city, every moment has a rhythm innately. Art is said to be the imitation of life, I rather see it as the evocation of life. What I am doing is conjugating the rhythm of the city with the dancers themselves to evoke the emotions that we share in everyday life. In a way my photography could be seen as a form of static choreography. You talk about Instagram as a form of expression and using social media as your stage and spotlight. What do you hope to convey in these instant moments of time, space and dancer? Instagram and social media have become platforms of self-publishing where “the people” are the ones who dictate the art they want to see and consume. As opposed to having an establishment or institution tell you “these are the artist you should be looking at right now”. In that aspect, both for photographers, dancers and creatives in general, Instagram really provides a platform of growth as artists where it not only has an inherent audience but also a form of auto evaluation. It’s like having your own focus group and publishing platform all together. As artists the very minimum you can attain is to have people see your work and effort, and this is what IG facilitates. It looks like you like to photograph in the LES, Chinatown and Seaport area. What draws you to a certain neighborhood or setting? In terms of locations I look for places that are visually appealing but also easier to shoot at. Places with less foot and car traffic are always great as it allows us to shoot with a little more tranquility. Sometimes however, I like to add more chaos in to the equation and I’ll jump right into the belly of the beast, like Midtown Manhattan. My first connection with visual storytelling was in fact through the art of mime theatre. I had then the privilege of studying under the tutelage of Marcel Marceau at L’École Internationale de Mimodrame de Paris Marcel Marceau. Later, as I went to college to acquire my B.A in Communications and Arts, I discovered in photography a new way of telling stories without words. With photography however, I could immortalize the moments for a little longer. I have since explored as many areas of photography as I possibly can. Among all, I’ve found an immense passion for photojournalism and dance photography.